Crafting Adventures: Sassy Anniversary Relay - Day Two! Ooh... there has been no stopping me today! I seem to be getting back my crafting bug! Yippee! It may also be helped by the corking Sassy Studio Designs image I received as a result of taking part in yesterday's relay event. Stamps: Princess Penelope by Sassy Studio Designs. Copic Markers: E00, E11, E29, E31, E33, E35, E37, E50, R81, R83, R85, BG15, BG23, BG49, W1, W3, W5, W7 - available HERE from Dies to Die For. Tools & Embellishments: Pearls from stash. I cut this one a little bit fine, hope I made it in time to get the next image! Gorgeous card hun!! Beautiful colouring and papers. How pretty! Love you layout and papers. Your coloring is amazing! Thanks for joining in the relay! Beautiful card and gorgeous image. 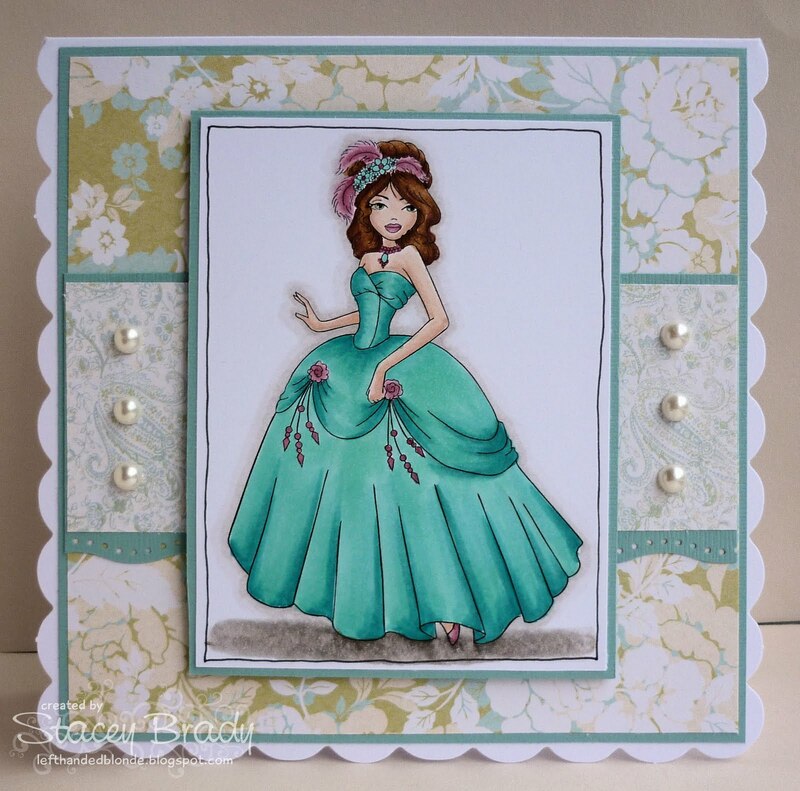 Oh she is wonderful Stacey and lovely, elegant card.